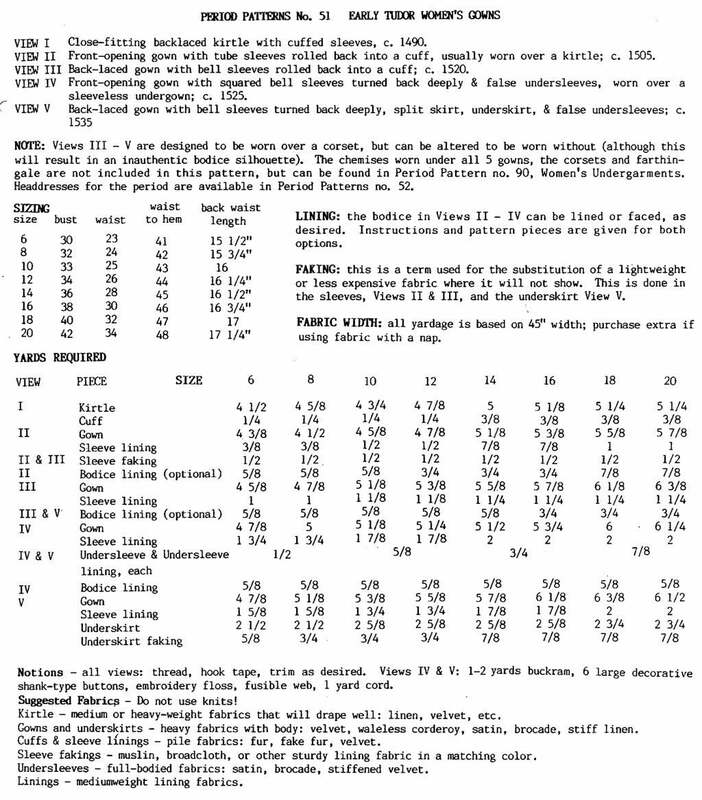 Pattern condition: Uncut, factory folded, complete with instructions and historic notes. 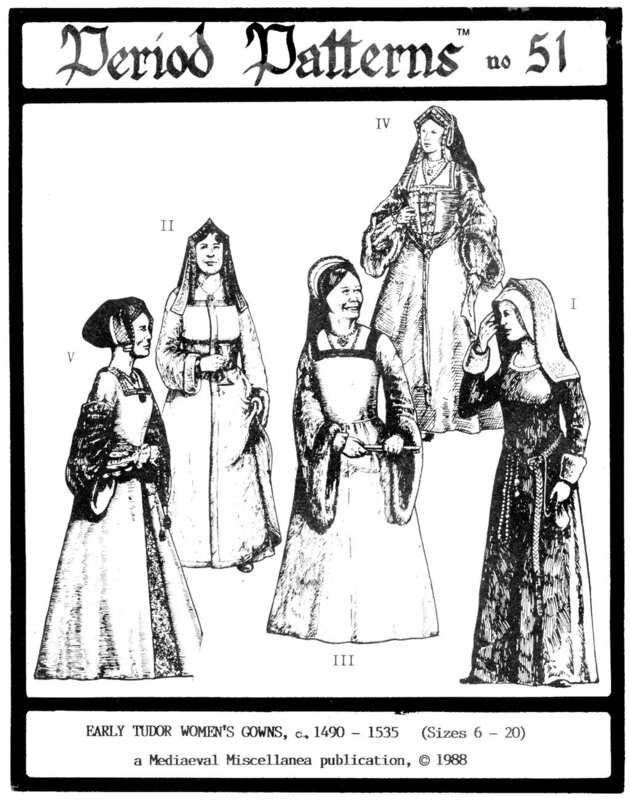 Mediaeval Miscellanea has created Period Patterns for use in creating costumes that look and fit authentically. Each pattern includes many pages of historical notes, for background, variation, and enhancement of the finished costume. View I - Close-fitting backlaced kirtle with cuffed sleeves. C. 1490. View II - Front-opening gown with tube sleeves rolled back into a cuff, usually worn over a kirtle. C. 1505. View III - Back-laced gown with bell sleeves rolled back into a cuff. C. 1520. View IV - Front-opening gown with squared bell sleeves turned back deeply and false undersleeves, worn over a sleeveless undergown. C. 1525. View V - Back-laced gown with bell sleeves turned back deeply, split skirt, underskirt, and false undersleeves. C. 1535. Note: Views III - V are designed to be worn over a corset, but can be altered to be worn without (although this will result in a inauthentic bodice silhouette). The chemises worn under all 5 gowns, the corsets and farthingale are not included in this pattern, but can be found in Period Pattern no. 90, Women's Undergarments. Headdresses for the period are available in Period Patterns no. 52. Please check my shop for these patterns.